All the Balinese Goods are Here! 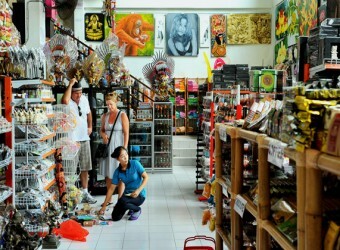 Bali Souvenior Shop A large dealer, Unagi in Denpasar has various items in the humongous space, so many buyers of souvenir shops visit there. There are Balinese goods on the first floor and interior items on the second floor. The prices are reasonable, so you can do all the necessary shopping! A Incense set is recommended.